March 20, 2017 – Mister Journalism: "Reading, Sharing, Discussing, Learning"
Cutting the Legal Services Corporation from the federal budget would deny millions of people access to civil representation and disproportionately impact women. Sonota found that help at Legal Services of Eastern Missouri, a nonprofit legal aid organization that provides lawyers for low-income individuals navigating the civil justice system. For Sonota, that meant helping her to obtain a protective order against her husband, to file for divorce, and to secure child support for her children. Her legal aid attorney also helped her to get access to therapy, a cellphone for emergencies, and school supplies and Christmas presents for her children. But if President Donald Trump’s “skinny budget” blueprint is adopted and passed by Congress, the federal funding that supports Legal Services of Eastern Missouri and a network of other legal aid groups across the country would disappear. That’s because the proposed budget eliminates the 43-year-old Legal Services Corporation, the federal entity that provides millions for state-based legal aid operations. Cutting its funding would deny millions of poor people access to the civil justice system, a circumstance that would disproportionately impact women, who make up 70 percent of clients served by LSC funds. Indeed, fully one-third of cases handled by LSC-affiliated groups involve women, like Sonota, who are victims of domestic violence. 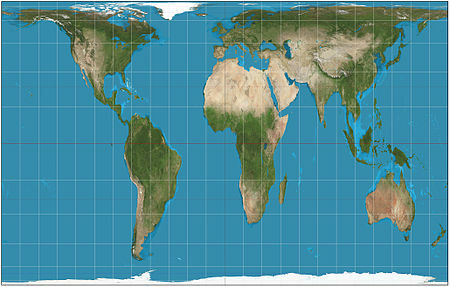 Boston Public Schools just caused a stir by adopting a new map of the world. “Boston public schools map switch aims to amend 500 years of distortion“reads the headline in the The Guardian, and “amend” is a good choice of words, because BPS decided to replace one set of distortions with another. 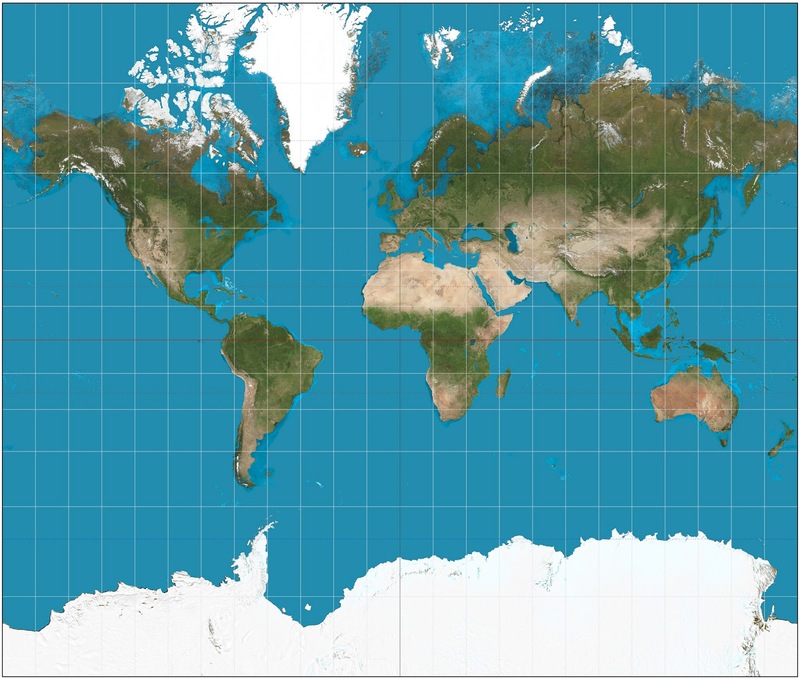 Boston had been using the Mercator Projection (1569), a version that we’re all pretty familiar with. 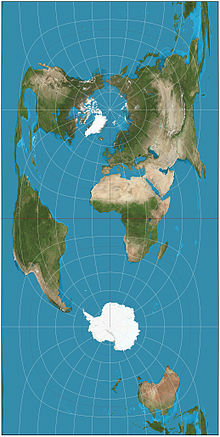 Mercator distorts by spreading out the world as it approaches the poles, so that by the time we get to Greenland or Alaska, the land masses are looking much larger than they actually are. Mercator was mostly trying to help with navigation, and this map was fine for that. And since his audience/customers were mostly starting from Europe, his map reinforces the idea that Europe is the center of the world. And it makes Africa and South America look relatively smaller. This is many people’s mental map of the world, complete with its built-in distortions. 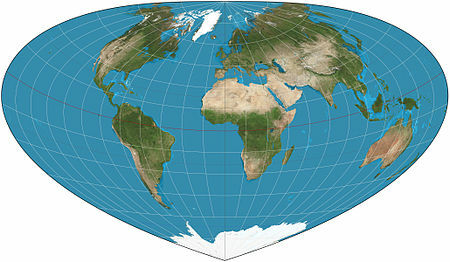 BPS decided to switch to the Gall-Peters projection (1855/1967) a map that sets out to render each land mass equally, so that the relative sizes of the land masses are accurate. This version is not necessarily very useful for navigation, but in the late 20th century it stirred up a bit of a mess. Arno Peters was actually duplicating the 100-year-old work of James Gall, and he promoted it as a more just and socially aware map than the Mercator, annoying the crap out of the cartographic community, which had been trying to downplay, improve upon, and replace Mercator for a couple of centuries. But Peters managed to build a cottage industry around his map (and even eventually acknowledged that Gall had gotten there a century earlier). The Brits use the map, and UNESCO has based some of its mappery on it, the argument in favor of it being that it shows nations in their proper relative size, even if shapes and distances are distorted. Are there other options? You bet there are. Try, for instance, the Cassini projection (1745), which keeps its distances somewhat standard and lets you see the poles. Or how about the various Eckert projections (1906) that avoid lots of distortion by not trying to fit the surface of the globe on a rectangle. And once we’ve chucked the whole rectangular map thing, we can get the equal-area maps right and show every land mass in proper proportion to the others. Here’s the Goode homolosine projection (1923). They are all wrong. They are all incomplete. They are all distorted in some fairly major way. This is to be expected. When you take something that is huge and complex and multidimensional and try to render it onto a small two-dimensional surface, you must sacrifice some major chunks of the truth. For that reason, you have to be fairly deliberate about and conscious of what parts of the truth you are sacrificing for whatever specific utility you wish to get from your map. And you have to keep trying, because every solution you come up with will be inadequate in some major way. And you must always remember that your map is inadequate in some major ways and not mistake the two-dimensional rendering for the real thing. That’s the lesson here, or rather the reminder, because we already knew all this but certain people prefer to pretend they don’t, is that whenever you try to render, describe, display, or create a measured model of something complicated (like a school or a teacher or a student’s mind or learning) you will absolutely fail in some major ways. Furthermore, if you get to thinking your map of that world is perfect, you will make terrible mistakes. 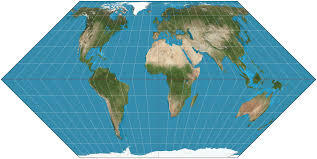 It is hard to make a map of the world. You will always fail, and if your goal is to achieve perfection, you are doomed to lose in a fool’s game. If, on the other hand, you do the best you can, keep trying, and remain aware of your shortcomings so that you don’t bet the farm or attach huge stakes to a map that’s not True– well, you might have a chance. If you think your Big Standardized Tests and data sets based on them and numbers kicked out by your fancy formulae are a perfect guide to what’s going on in schools, you are doomed to be lost. And it would be really nice if you didn’t drag the rest of us with you on your doomed journey. It’s curious that in our culture of ‘alternative facts,’ so many Christians seem comfortable with a loss of truth. In the wake of Michael Flynn’s resignation from national security adviser and inconsistent timelines of the Trump team’s interaction with Russian officials, many are rightly asking questions about national security and election integrity. The administration’s reaction has been outrage over leaks within the intelligence community — even though Trump himself celebrated Wikileaks releasing the DNC’s hacked emails during the campaign season, even going as far as to egg Russia on to find Hillary Clinton’s emails. This all points to a clear lack of transparency and culture of dishonesty from the Trump administration. It is fair to say that a value for truth is completely woven into our theology. So it’s curious that in our culture of “fake news” and “alternative facts,” so many Christians seem comfortable with a loss of truth. Yesterday the Trump administration released what’s being called its “skinny” budget. A president’s budget proposal does NOT work like an executive order, however. It is merely a declaration of the president’s priorities, and it must be discussed and enacted by Congress, which then appropriates the money. And this is a budget that outlines only what is called “discretionary” spending. That is the part that actually gets appropriated every year, and it is a very small part of the federal budget, which mostly goes to “mandatory” programs, another term for entitlements. A large part of discretionary spending is for the military. And the military is definitely a priority of Donald Trump’s. Yesterday’s budget proposal adds $52 billion to the military and a 7 percent increase for the Department of Homeland Security and a 6 percent increase for Veterans Affairs. Download the podcast: Hitting Left with the Klonsky Brothers. Why is the #FakeNews Media Pretending Trump Is Not Just a Tool of the Political Establishment? MLive reported on this story last week, with the announcement that the Trump administration’s budget cuts would take out $9 Billion from the Department of Education.